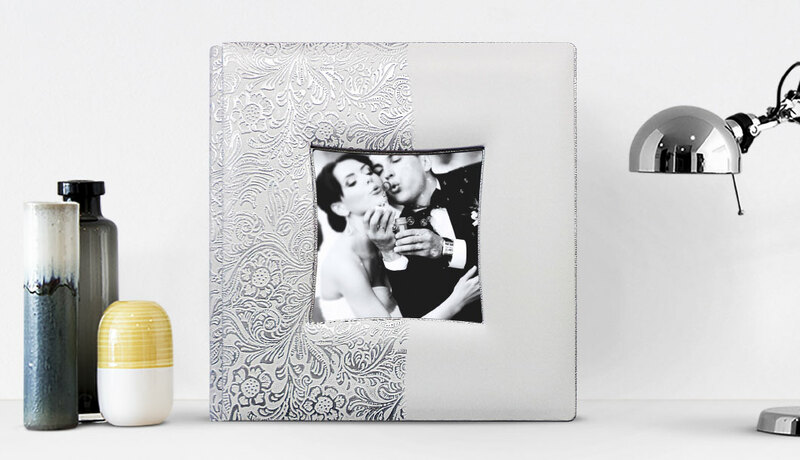 The professional wedding albums of the Wedding line represent the apex of Made in Italy design and craftsmanship. 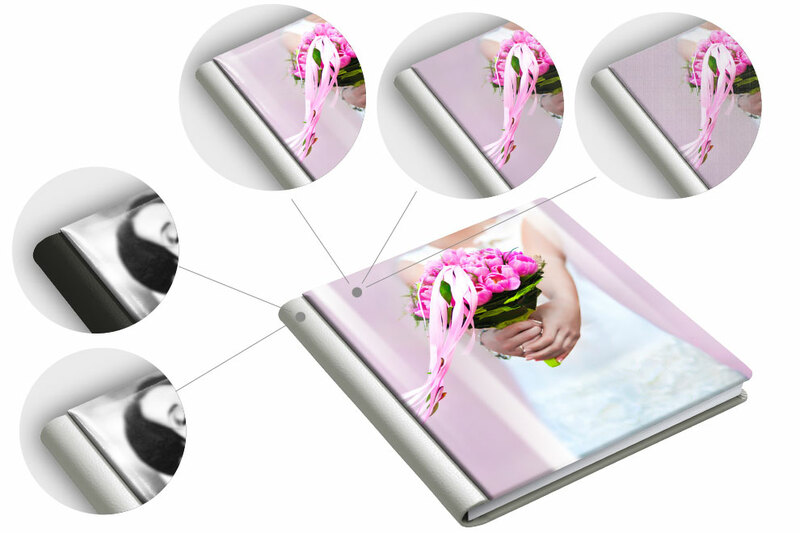 The very wide range and the infinite customization possibilities will allow you to capture the wedding’s theme perfectly. The quality of the photo print or, alternatively, of the Full HD Fine-Art print, will ensure that you will not miss even the smallest detail. 8 sizes, 5 types of papers for the inside pages, an endless choice of covers and hundreds of accessories will make your album truly unique. 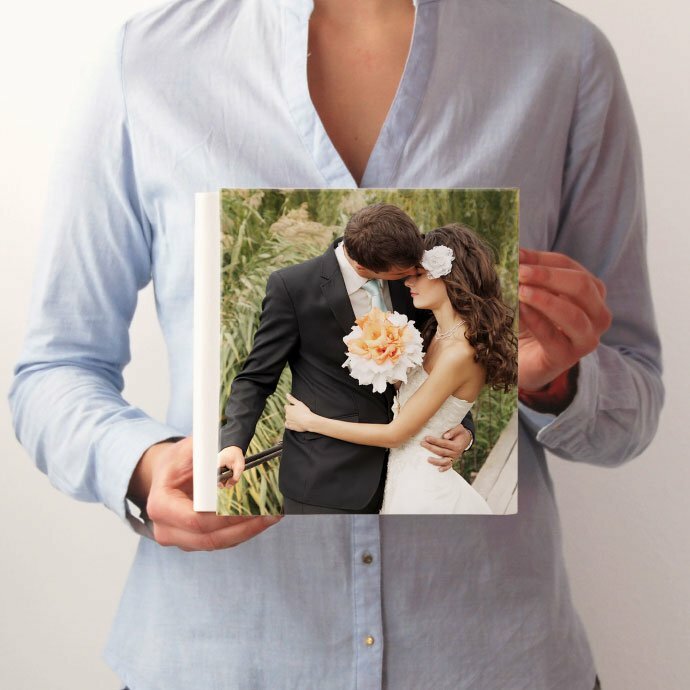 Each wedding album is handmade in Italy only quality materials, created to last forever. 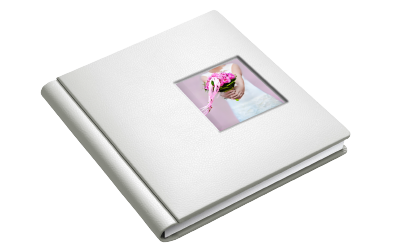 The Wedding line of professional photo books can be combined with all our covers, divided into 3 categories: Basic, Editor and Collectible. 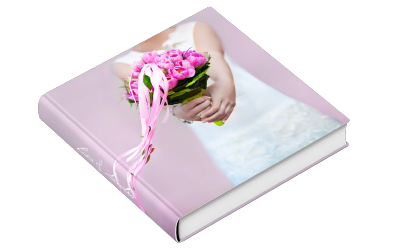 Basic is the cover included in the price, with photo front (glossy/matte) and a leather back (white or black). 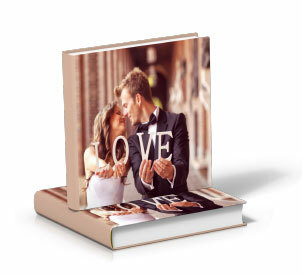 Editor is the fully printed hardcover that is totally customizable with text and photos (front, spine, back). 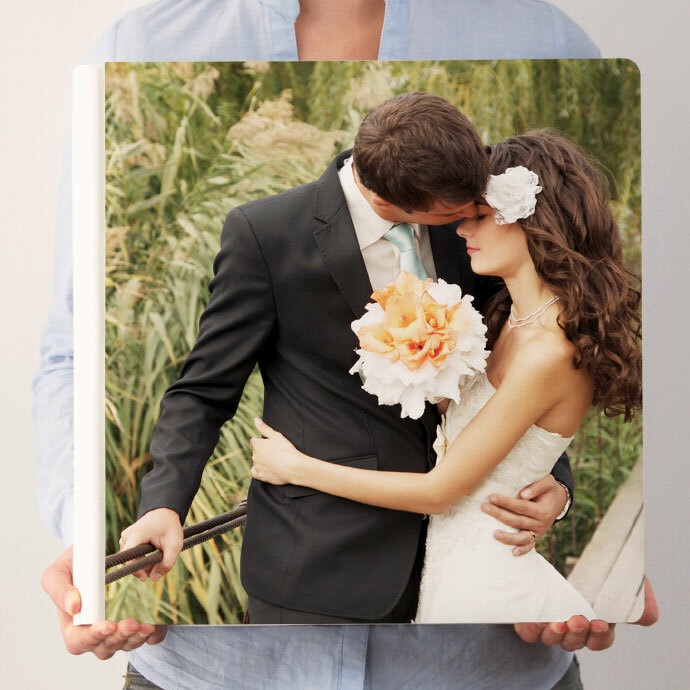 Hundreds of covers, handcrafted with the most varied materials, shapes and colours. Three categories of covers from which to create endless combinations of materials and colors. 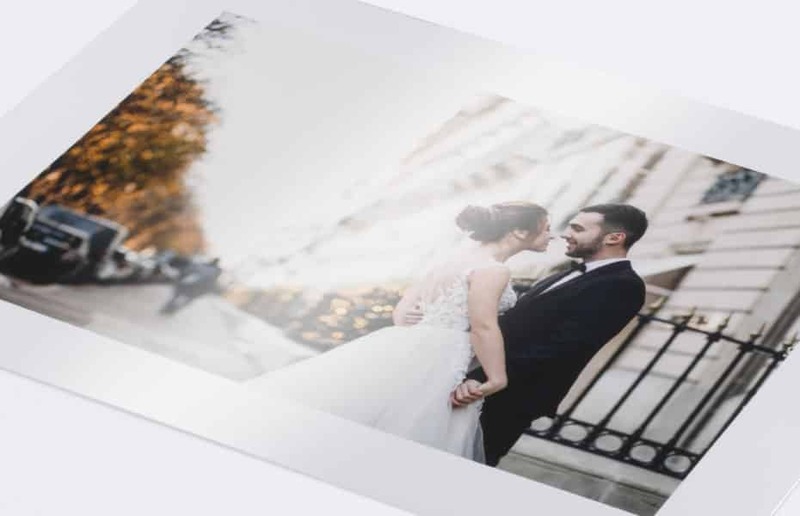 Photographic paper for chemical printing, white, glacier, slightly satin-finished. The micro-porous surface produces excellent results with colours. Surface with a silky texture, bright points of light, intense spectrum of colours, smooth gradations in shadows. 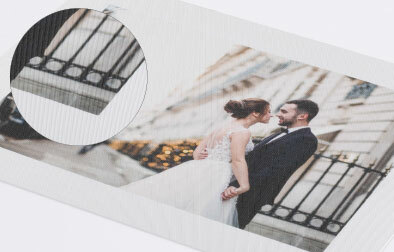 Glossy, highly reflective paper, with silver iridescence. High color density, sharpness and deep blacks. 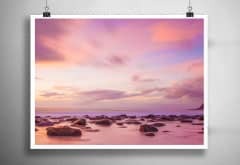 Extra-opaque and velvety surface, extremely smooth to the touch, subdued depth of colours with significant reduction of contrast and saturation. Cover included in the price with photo front and leather back. 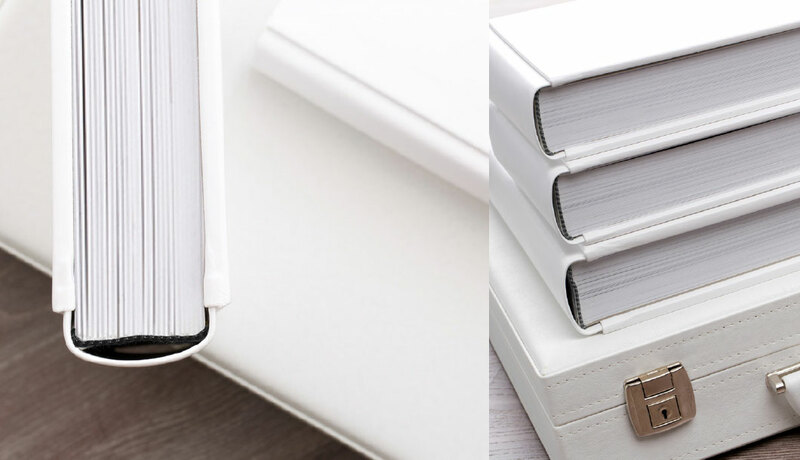 When you order, you can choose between glossy or matte front and back in white or black leather. Front can be customized with graphics, colours, photos and text. 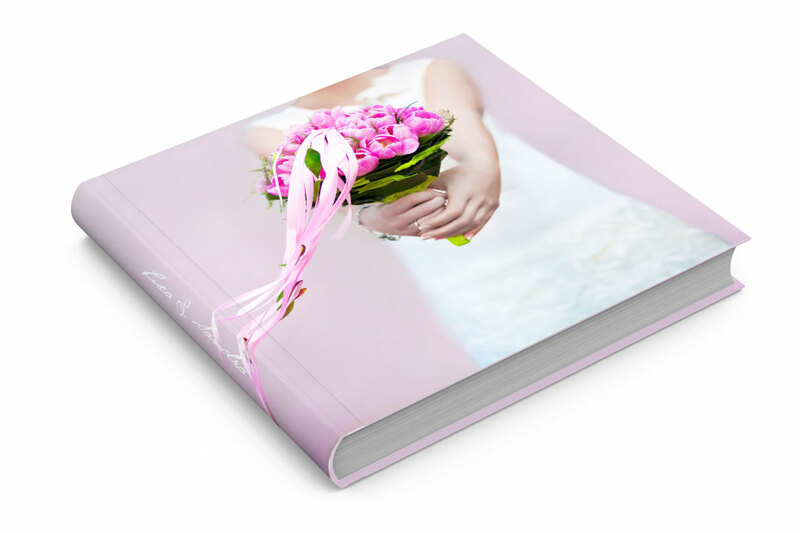 Hard cover with front, spine and back fully customizable with graphics, colours, photos and text. 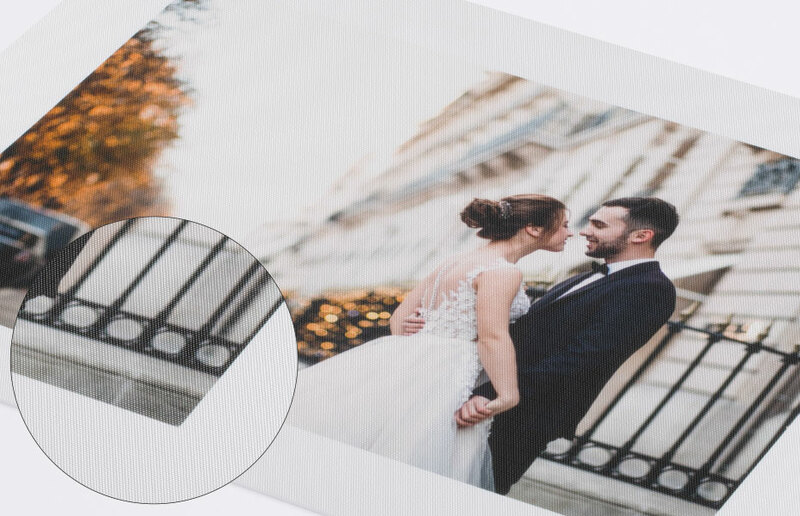 Printed on three materials to choose from. 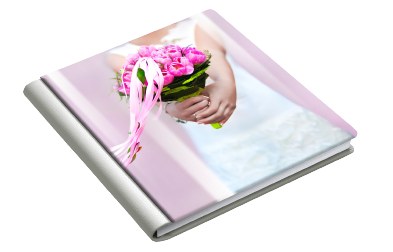 The professional photo books of the Wedding lines can be combined with all the COLLECTIBLE covers. Hundreds of handcrafted models, with different materials, colours and shapes. Matching briefcases and cases are also available. 24 pages 21×21 cm (12 artboards 42×21 cm) included in the price. 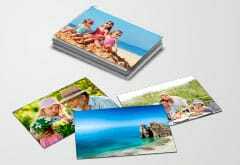 Each additional page €1.80 or €3.60 for each additional 42×21 artboard. Pages can be added up to a maximum of 130 (65 artboards). Not available for this album size. 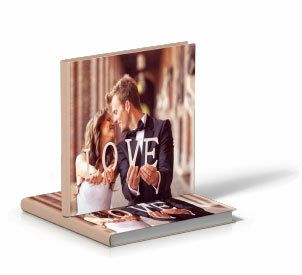 24 pages 20.5×29 cm (12 artboards 41×29 cm) included in the price. 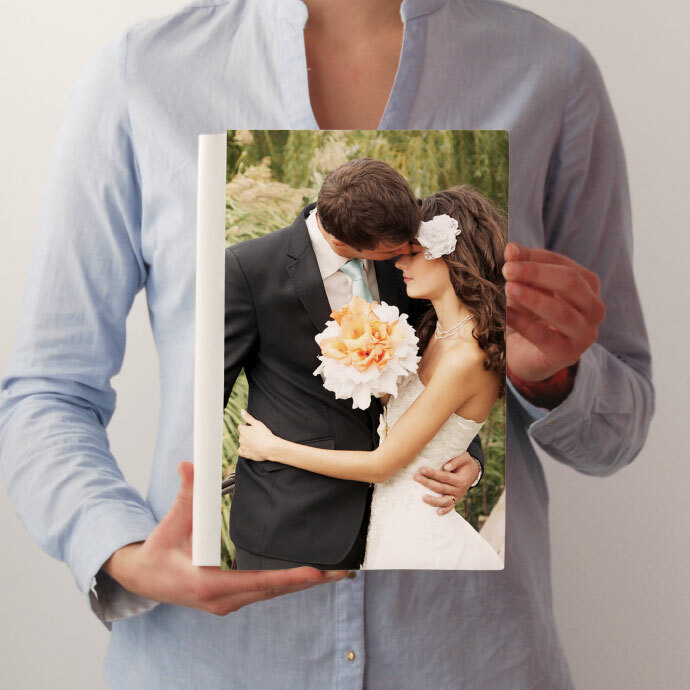 Each additional page €2 or €4 for each additional 41×29 artboard. Pages can be added up to a maximum of 130 (65 artboards). 24 pages 33×25 cm (12 artboards 66×25 cm) included in the price. Each additional page €3.30 or €6.60 for each additional 66×25 artboard. Pages can be added up to a maximum of 130 (65 artboards). 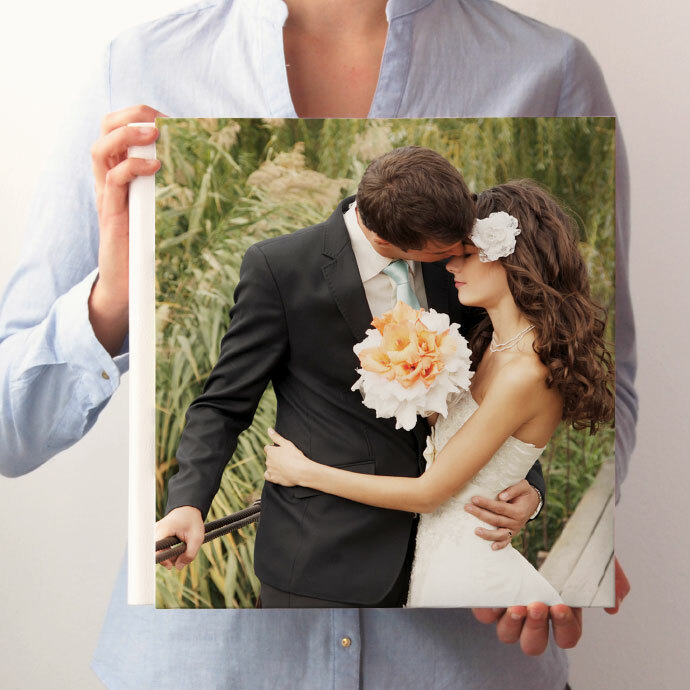 24 pages 30×30 cm (12 artboards 60×30 cm) included in the price. 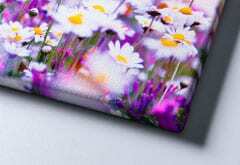 Each additional page €3.30 or €6.60 for each additional 60×30 artboard. Pages can be added up to a maximum of 130 (65 artboards). 24 pages 33×33 cm (12 artboards 66×33 cm) included in the price. Each additional page €3.90 or €7.80 for each additional 66×33 artboard. Pages can be added up to a maximum of 130 (65 artboards). 24 pages 30×42 cm (12 artboards 60×42 cm) included in the price. 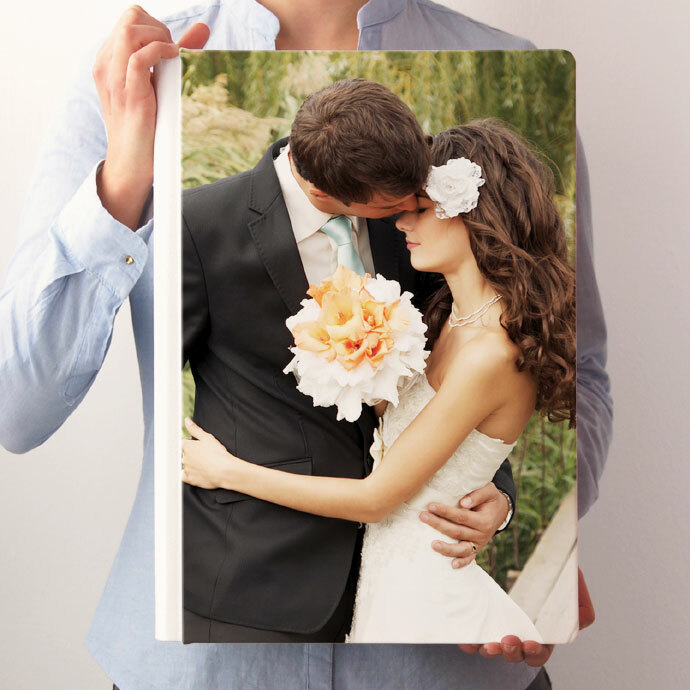 Each additional page €4.20 or €8.40 for each additional 60×42 artboard. Pages can be added up to a maximum of 130 (65 artboards). 24 pages 42×30 cm (12 artboards 84×30 cm) included in the price. 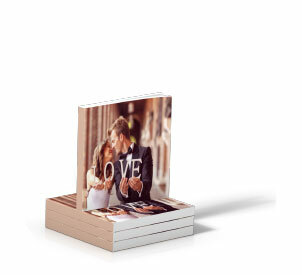 Each additional page €4.20 or €8.40 for each additional 84×30 artboard. Pages can be added up to a maximum of 130 (65 artboards). 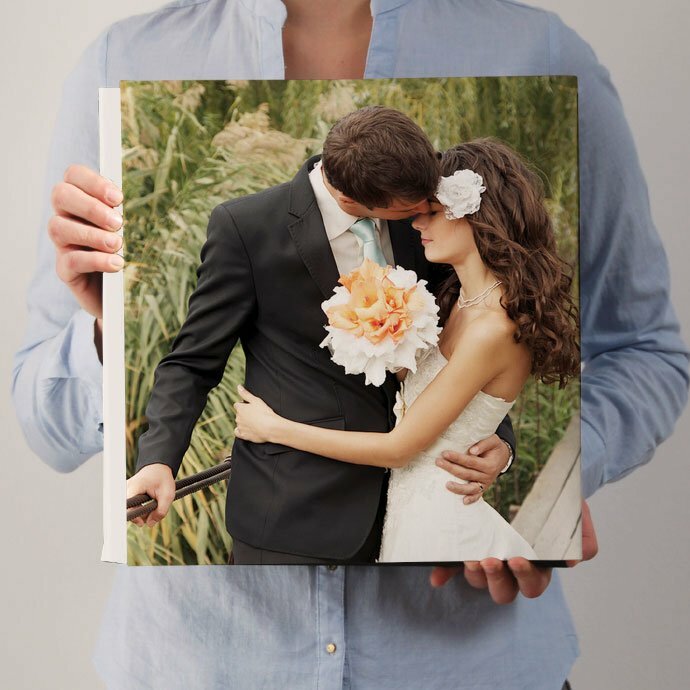 24 pages 40×40 cm (12 artboards 80×40 cm) included in the price. 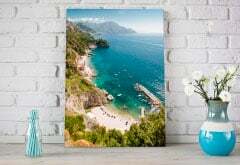 Each additional page €4.60 or €9.20 for each additional 80×40 artboard. Pages can be added up to a maximum of 130 (65 artboards). 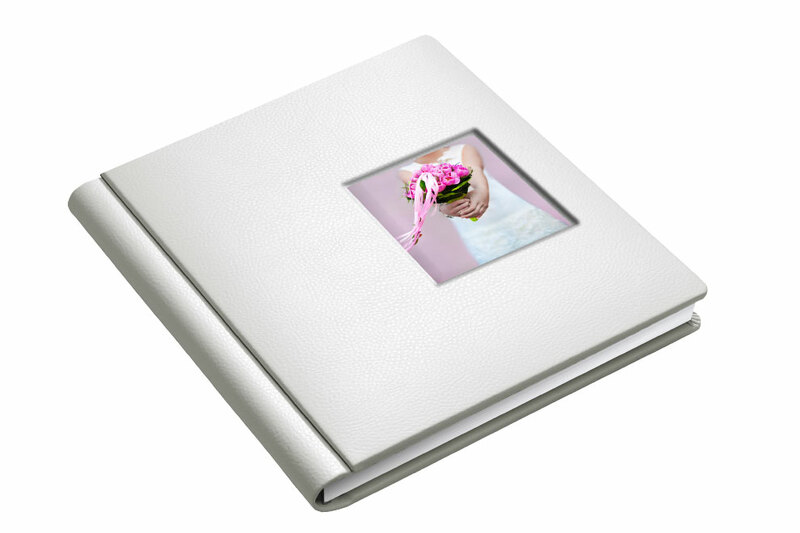 You can design and order all the Photo Albums of the Wedding line with our free software Album Studio. 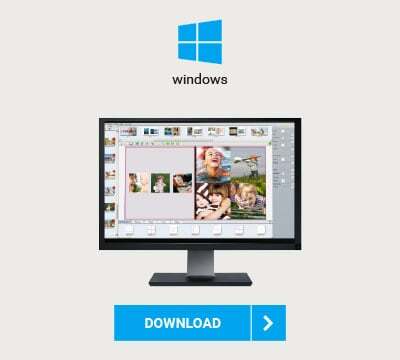 You can easily create the whole album from scratch, importing images and dragging them onto the layout. 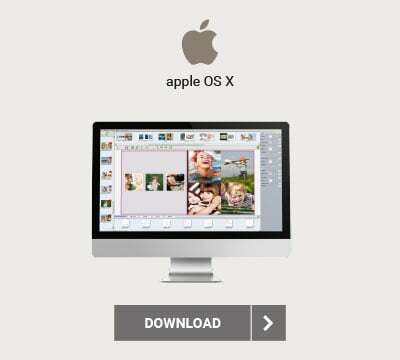 You will also be able to connect Album Studio to your favourite editing software (Photoshop, Lightroom, etc. 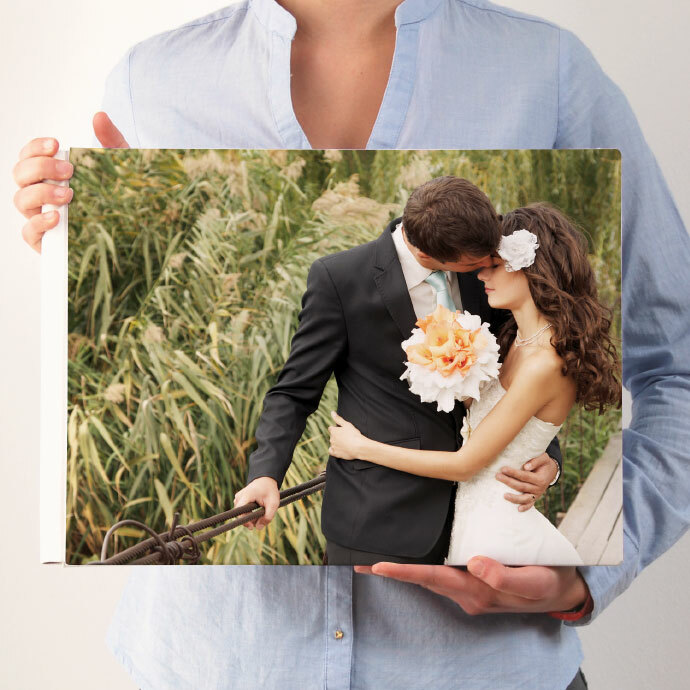 ), create PDF or JPEG proofs for client approval, and select options and accessories when you order. 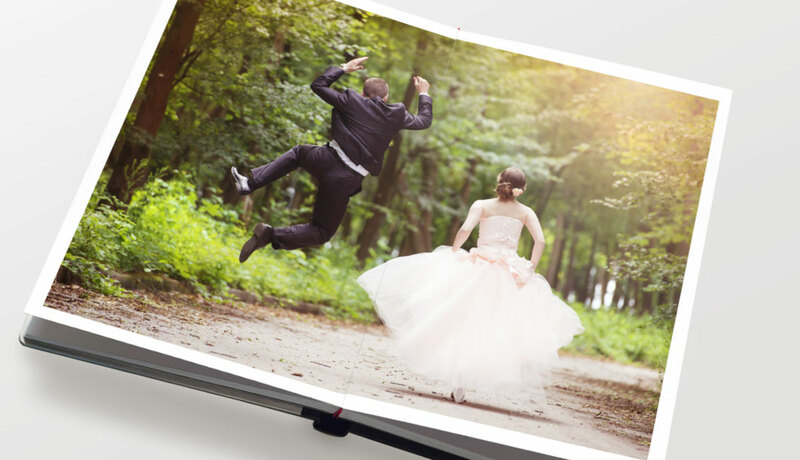 See the price list, and compare the prices of the Wedding and Digital Wedding lines. Currently your Wedding will be delivered within 23-25 working days by express courier. 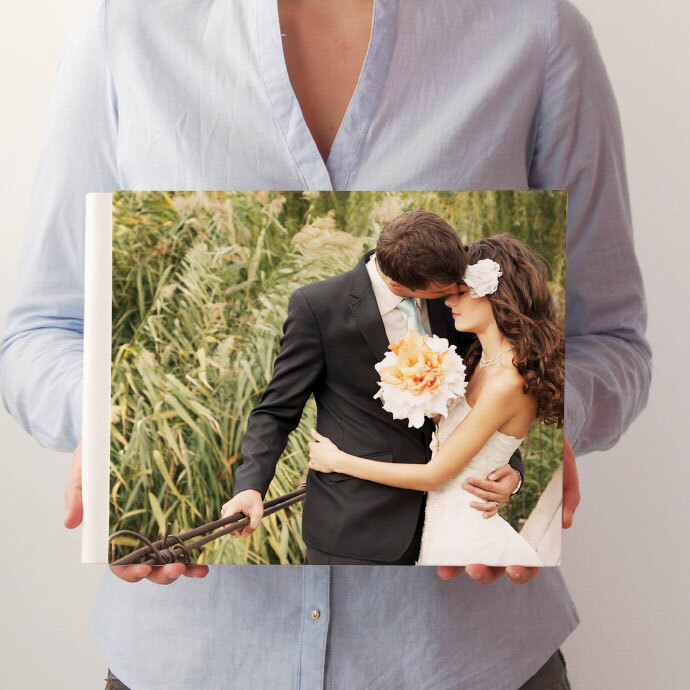 For collectible covers, briefcases, and cases, add an extra 7-9 working days to expected delivery times. All the albums are hand bound and thoroughly checked before shipping and during all the production stages. I absolutely need to get it sooner, can it be done? Yes, select “URGENCY OF PRODUCTION” when placing your order. Your album will be produced in record time during a specifically-created shift, enabling the production of the album in 9-10 working days + shipping times. This service carries a €99 surcharge. Through the test print you can realistically assess the colour rendering of your images before the final printing. The test print is available for all the photo products of the Wedding and Digital Wedding Lines. 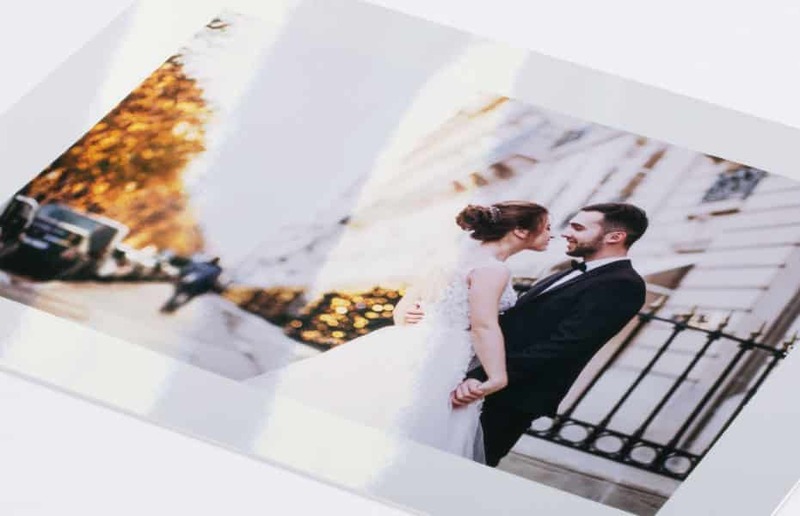 Printing sizes, papers, finishes and technology will be exactly those used for the final printing, the only difference being in the absence of binding and of rigid support of the double pages. Contact us to find out about discounts and exclusive offers.